Don’t let her massive Instagram following fool you: Aleali May is anything but another fashion blogger clogging your feed with #sponsored posts. The Los Angeles fashion star keeps busy as a stylist and image consultant and just about everything in-between. She originally cut her teeth working for Louis Vuitton and RSVP Gallery, and now counts brands like Audi USA, Nike, and adidas as clients. 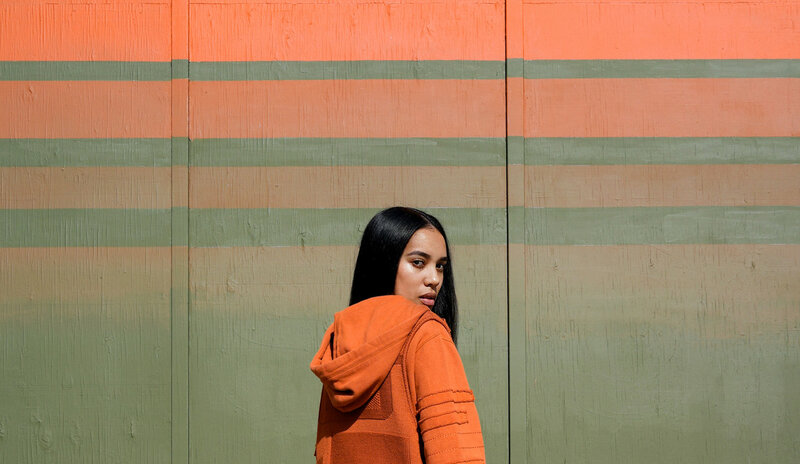 As Green Label descends on LA for the final stop of Dew NBA 3X, and our very own Fairfax Block Party, May gave us the inside scoop on the best spots to come up on second-hand designer threads, her favorite LA brands, and the best boba spot on Fairfax. For vintage stores I always go to Melrose—there are plenty of them there. One of my favorites is Wasteland. It’s not exclusively vintage stuff, but it’s a spot where rich people from Beverly Hills and Hollywood come to sell their old clothes. So the shop always has really good pieces. Sometimes you’ll find stuff like Dior, Givenchy, Rick Owens—all that good designer stuff. And you get to get it for a much cheaper price. Some other Aleali May-approved secondhand options? Melrose Trading Post at Fairfax High School and the ever-popular Rose Bowl Flea Market. It’s this new boba tea spot that Crooks & Castles guys opened up on Fairfax. It’s really, really good. I go there every time I’m on Fairfax, which is a lot of the week,” she said with a laugh. I love Blackfist by Bradley Soileau. A lot of designers may have a similar aesthetic, but I love that his brand is a reflection of what he’s all about. I like when brands tie into their own real heritage and not just some trend that they’re just trying to make money off of. Also: Made Gold. They’re these young girls that make really unique denim. It’s got a rocker style to it but it’s super dope.